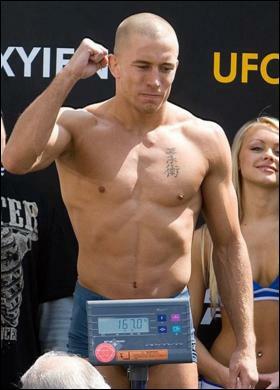 Georges St. Pierre is moving up in the world. He currently defended his 170 lb title against John Fitch, holds notable wins over UFC Legend Matt Hughes and Matt Serra. Now, he is signing the first known MMA fighter deal with one of the largest and most influential talent agencies in the world CAA or Creative Arts Agency. CAA is big time and represents clients such as LeBron James and Tony Hawk. CAA Sports, a division of CAA, manages over 350 top athletes in most of the mainstream sports such as basketball, football, baseball, surfing, etc. Further more, CAA has a impeccable reputation for representing some of the largest and most successful corporations such as Ebay, Coca Cola, Mattel and Harley Davidson. Now Georges St. Pierre gets to be the first Mixed Martial Artist to be represented by their regal organization. This is a huge step for George St. Pierre, and also a huge step for MMA as a whole. MMA is moving up into more mainstream arenas and GSP is leading the way. This surely means more money for GSP, and even more attention in the world of Mixed Martial Arts.